When the temperature isn’t high enough, drafts wouldn’t be of any help to let you relax inside your home. Faulty windows are the usual suspects behind these unwarranted breezes, but is that all there is to know? 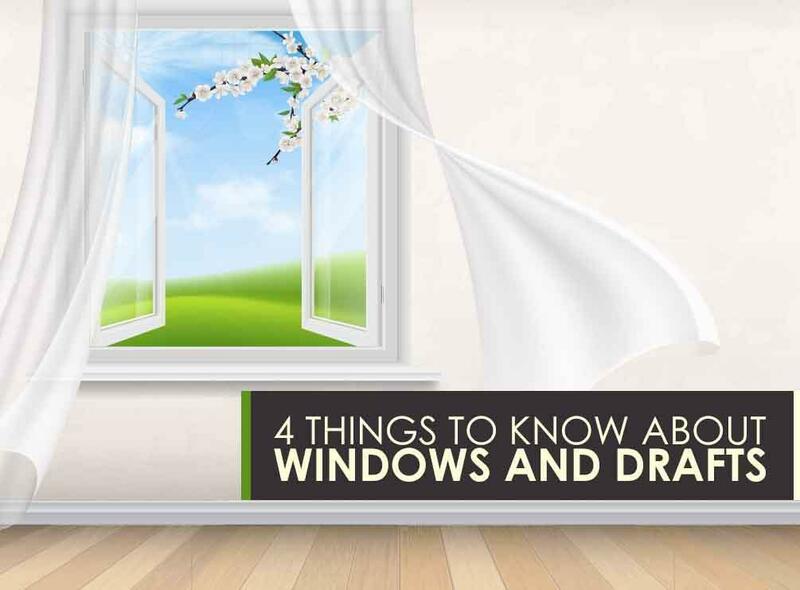 Kroll Construction shares with you everything you should know about the connection between windows and drafts. Air leaks happen when outside air enters your home and conditioned indoor air escapes through gaps around your windows. During windy days, you cannot rely on drafts for ventilation because too much air can enter your home. This results in poor indoor air quality and moisture problems. An ideal solution is to control ventilation and seal all possible leaks. If your windows are too far for repair, you can invest in efficient options from Kroll Construction. We offer operable window styles that eliminate drafts even when closed. The outdoor cold air can affect indoor environment when you’re trying to keep things warm. The situation has two-fold energy-wasting effects: it allows the heat to escape and cause your heating equipment to work overtime. Without getting replacement windows, you would have to live up with higher utility bills month after month. Although picture windows don’t open or close, they would let drafts through when seal failure happens. Sealants don’t last forever, and their deterioration occurs way before the actual units begin to decline. When you can feel gentle breezes inside during a windy day, then your fixed windows aren’t really that fixed anymore. Repairs can fix window drafts, but certain cases justify a replacement. If your double-pane units have other issues such as rot, between-the-glass condensation, poor daylighting, and high maintenance, then getting replacement windows would be worth it. Eliminate drafts for good and get replacement units from Kroll Construction. We offer quality units from Alside®, which offer durability, energy savings, and curb appeal. If you want to learn more about drafts, call us today at (888) 338-6340. We serve Detroit, Michigan, and the surrounding areas.